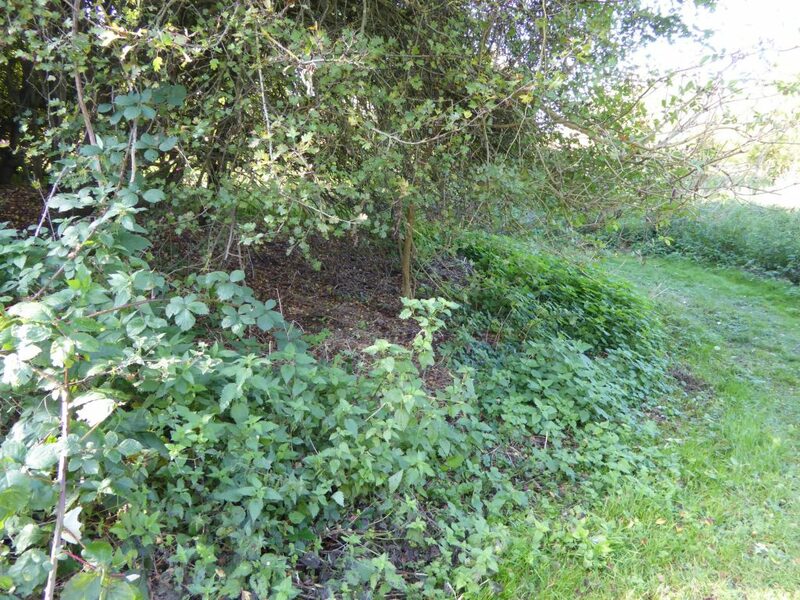 All over the Eyot there are small patches of vegetation that have been adopted by individual Friends who work on them to help increase the proportion and variety of wildflowers. Together with these Wild Flower Champions we closely monitor the species composition of these small patches. Where is it? Entering from the Jackdaw Lane bridge, follow the main path to just beyond the second path to the right running into the wood. The patch is on the right running up to the second path, and before the open meadow area. The situation The wild flowers in this patch don’t suffer from trampling in muddy weather, being beside the hard surface of the wide main cinder patch. The target To keeping the White Comfrey here free from nettles is the target, but the Patch Champion has worked tirelessly to keep a further extent, reaching up to the path into the wood, nettle free, and as a result it’s been colonised by Black Horehound, another excellent nectar source for insects in the autumn. Where is it? Entering from the Jackdaw Lane bridge, take the second path to the left, keeping the open meadow on your left, and where the path forks left into the orchard, keep right with the orchard on your left. Shortly after this the path curves out and round a patch of hawthorns on the right. The patch is the area beneath the hawthorns, bordering the path, and again, the wild flowers here go untrampled, this time because of the overhanging hawthorn. The situation When the Patch Champion started work here the area was solid nettles. The friable soil proved a good medium for pulling up long extents of nettle root. The target Ground Ivy, Hemlock, Welted Thistle and other smaller plants have established themselves. 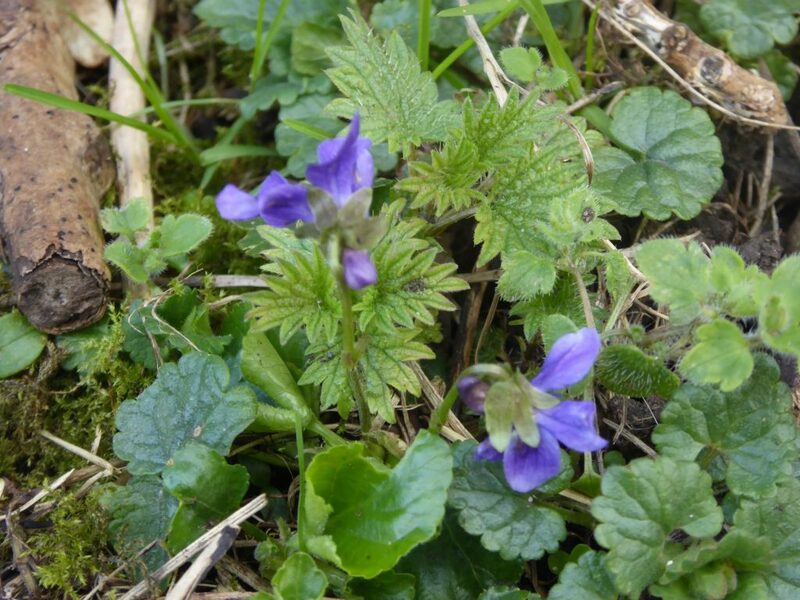 Further nettle pulling in the autumn of 2018 to round the corner has been rewarded this spring with a much larger cluster of Sweet Violets than in the previous years. 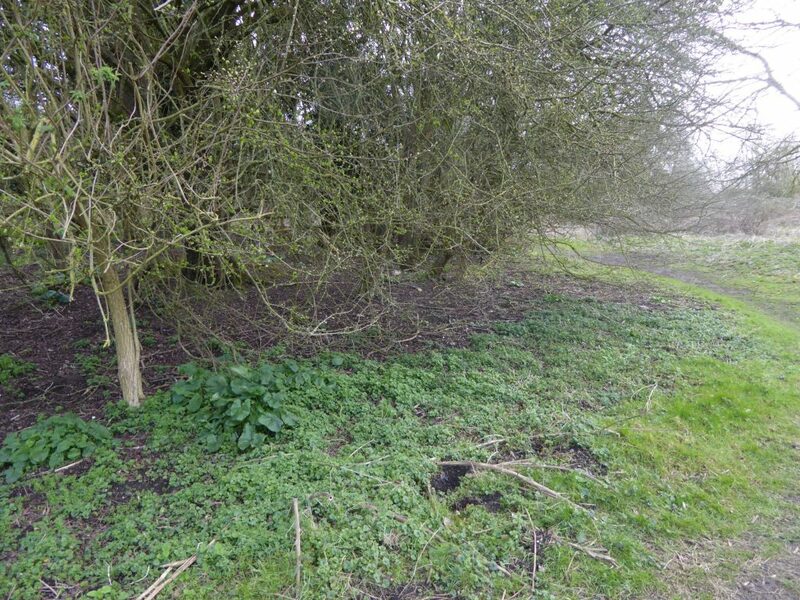 Would you like to champion a little patch of nettles and change it into a flourishing patch of wild flowers? 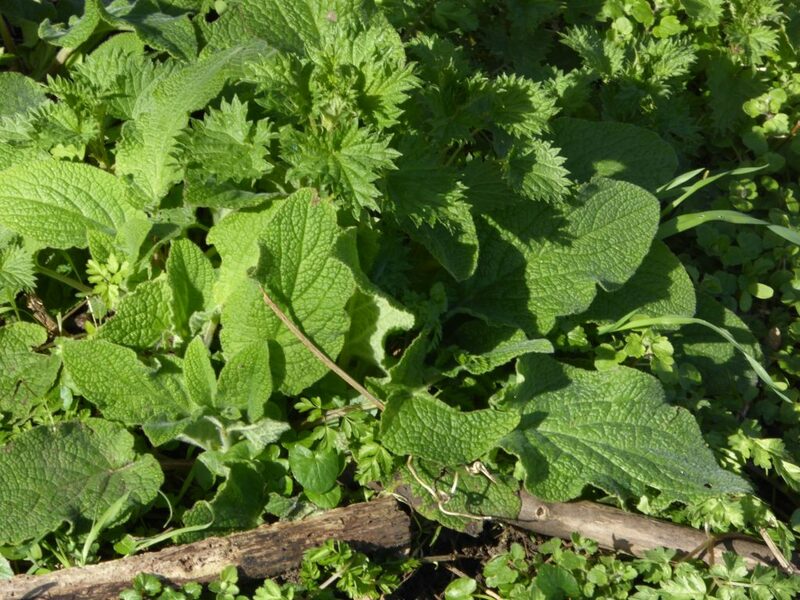 white dead nettle, hedge woundwort and black horehound) that we want to encourage! No knowledge of wildflowers needed – help is given to those who feel they need it. knowing you are providing food for bees, butterflies, and other pollinators; turning a little patch of nettles on the path edge into a wild flower patch for us all to enjoy. Why do this? Nettles are creeping into the path edges and taking over from the nectar-bearing wild flowers that all the pollinators need. Just to pull or to break off the nettles and remove them to a pile further away from the grass path gives the wild flowers a better chance to reach the sun. The nettles love a fertile soil and flourish where the ground is being fertilised, (by rotting down nettles in winter and by uncollected dog poo.) 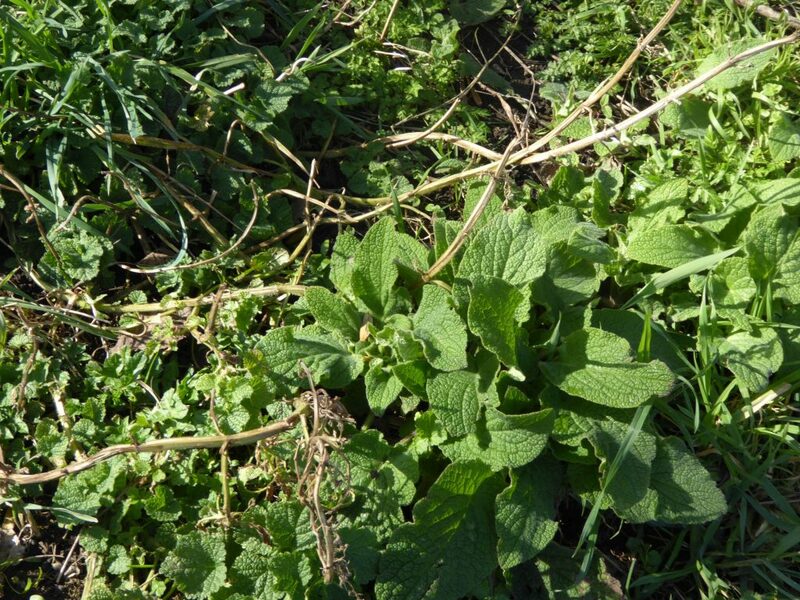 If we pull the nettles and remove them they take the fertility with them, lowering the level in the soil to the level that the wild flowers prefer. Interested? If you’d like to find out more email Claire clairefrancesmlee@gmail.com phone Oxford 20177 or call or leave a note through the door at 22 Henley Street.